Our products are in the Amazon warehouse for a maximum of 1 month and we recommend use of the product with 2 years. 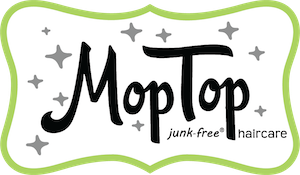 Make sure you are purchasing on Amazon from MopTop as we are the manufacturer, authorized seller and hold the brand registry on Amazon of all MopTop and Fuzzy Duck products. To that end, all our products are stored in climate controlled enviroments and are highly regulated for optimum performance to ensure they meet our highest quality standards. Hope this helped and remember, a good hair day can change the world!